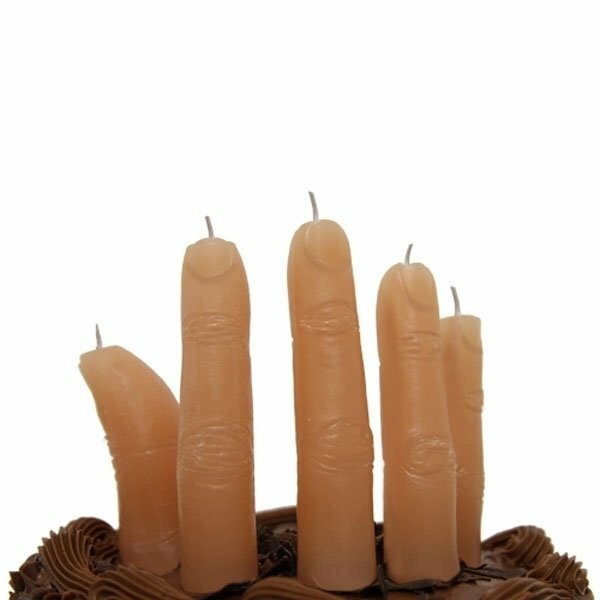 It doesn’t need to be Halloween to enjoy giving the finger to friends or family. Four fingers in fact, plus a thumb, of course. 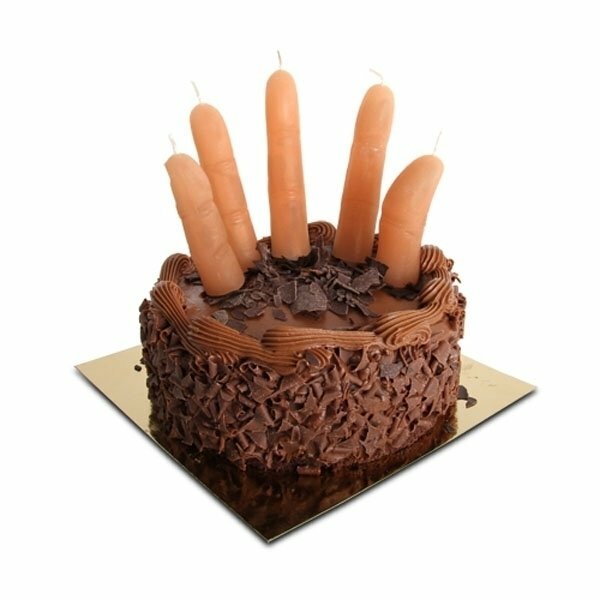 These creepy flesh coloured wax candles will add a touch of ghoulishness to any cake.